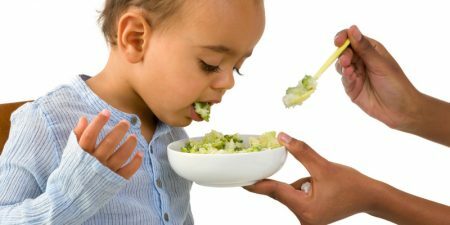 Pay attention and respect whether your child wants to eat or not. 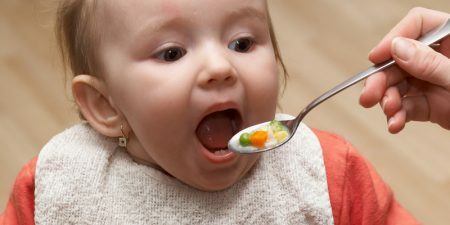 If you have taken an approach where baby is in charge of feeding themselves from the start, then they will drive the speed of feeding and the amounts eaten. 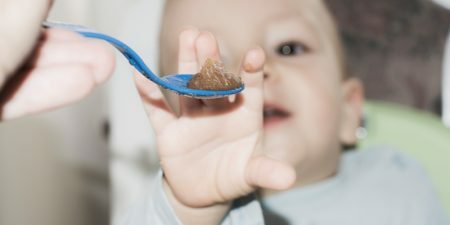 If you have chosen to feed your baby by spoon you need to make sure you are really making sure you are feeding in way that is right for baby in terms of the speeds, amount and you stop when they let you know they have had enough. 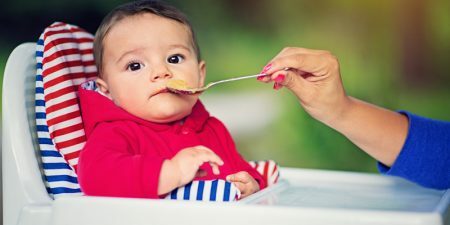 At this age your baby can’t talk, therefore they can’t tell you if they’re hungry or full. You’ll have to be guided by their actions and signs saying whether they’re hungry or full, or more to the point. When they want to stop eating. 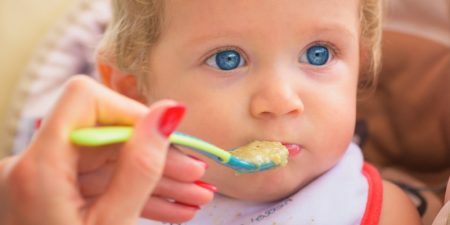 Why is recognising your baby’s signs of hunger so important? 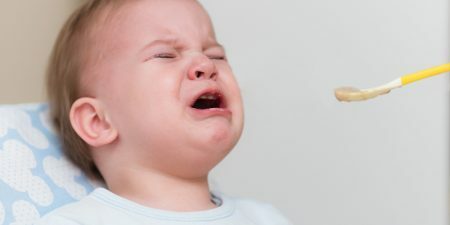 Not recognising the signs of hunger and fullness can lead to overfeeding and messing with your child’s ability to recognise they’re full. This is a problem that can lead to overeating and health problems later in life. 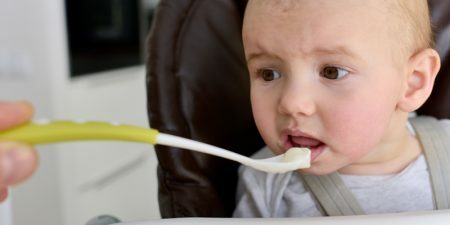 Take comfort in knowing that your baby knows when they need food or not. They’ll let you know in their own way. You just have to read the signs! 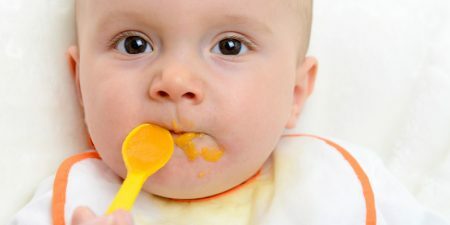 Follow your baby’s interest in food and their appetite levels. These may change day to day and increase over time. 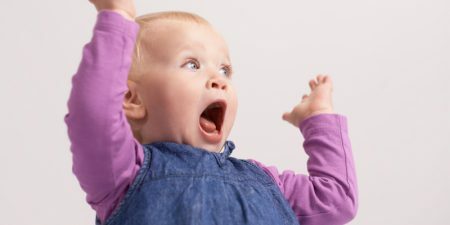 Baby getting excited when she sees you getting her food ready. Baby leaning towards you while she’s sitting in the highchair. 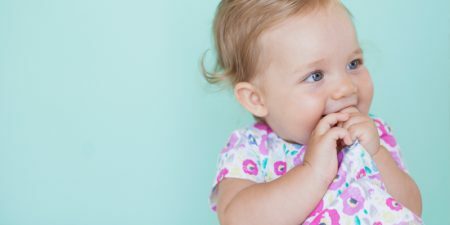 Baby opening her mouth as you’re about to feed her. Sucking hand or putting it in mouth. 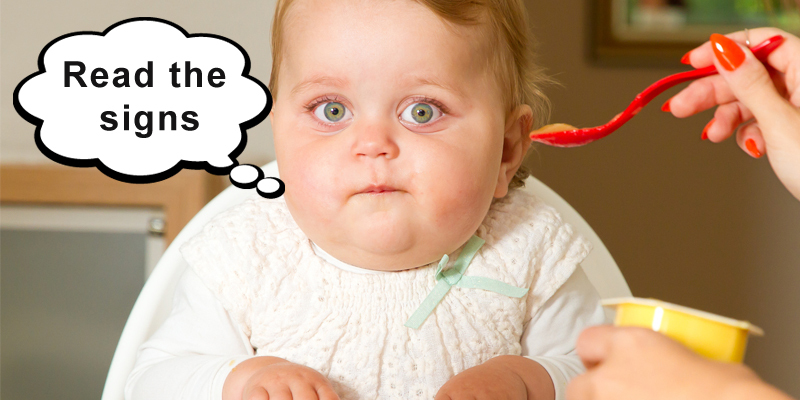 Sometimes parents can assume their baby is hungry when something else is going on. It could be general discomfort, baby’s uncomfortable, hot / cold, wet nappy or not feeling well. 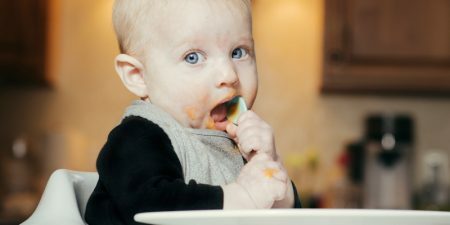 By giving food you may get baby to settle, but you’re misreading these signs. This may start a habit of addressing all upsets with food. A habit that we can take into adulthood.